At long last, Ardee finally got a Bandstand, albeit, a temporary one provided by the Ardee Turfman Festival committee. On Sunday last, August 1st 2010, it was a sight to behold to see such crowds on the Fairgreen with gazebos, bouncy castles and Boy Scout tents. This was complemented by the entertaining music provided by bands from the North East Region who christened the bandstand in style. The bands were in Ardee as invited guests of Ardee Concert Band who hosted a Band Festival as part of their 150th celebrations. The afternoon’s music kicked off at 2pm with a performance by the Ardee Youth Band conducted by John Gaynor. 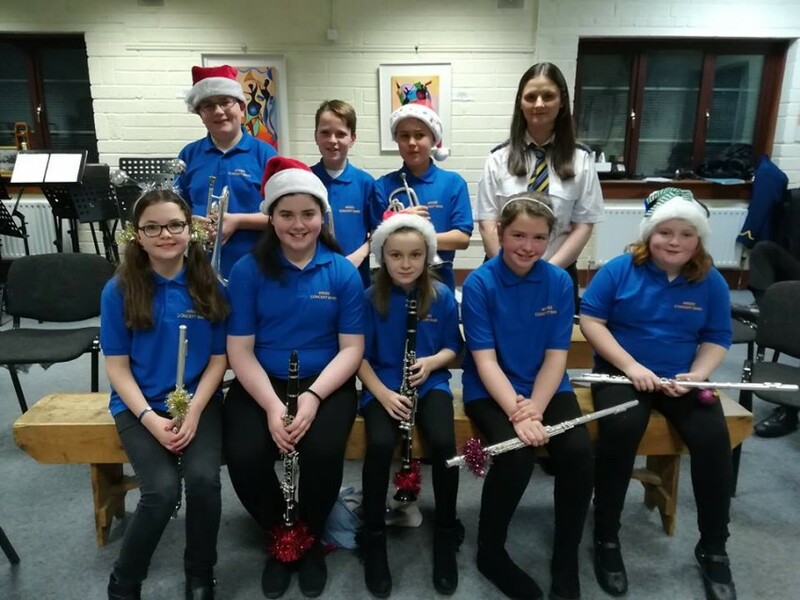 This is a 45 strong group of Ardee Concert Band members aged between ten and fourteen years who have been learning instruments for approximately two years and would hope one day to progress into the senior band. For eleven of this group, Sunday was their last performance with the Youth Band as their next one will be with the Senior band. 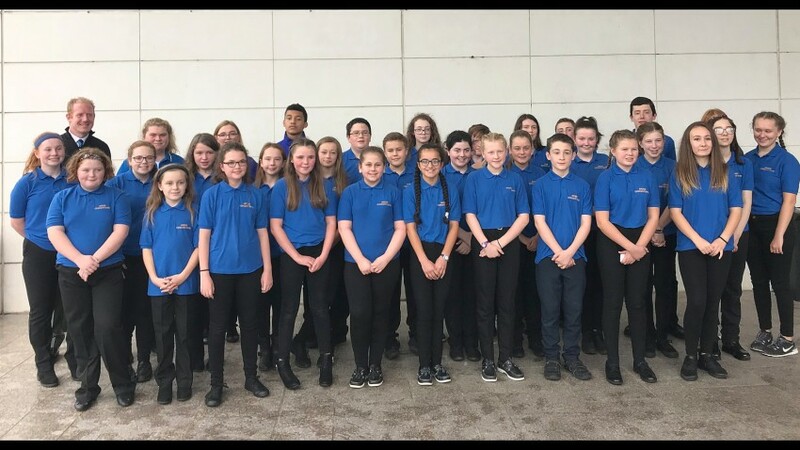 The Ardee Concert Band is very proud of its Youth Band who currently hold a national title as winners of Section 4 (Junior bands) of the National Band Championships, which they won at the University of Limerick Concert Hall earlier this year. St Mary’s Brass and Reed Band from Kingscourt were second to perform and even though they had several members away on holidays, they were ably substituted by some members of Ardee. The Kingscourt band recently performed very successfully at the South of Ireland Band Championships in Clonakilty. They played a very entertaining programme and were conducted by Sean Brennan. Drogheda was well represented by both the Lourdes Brass Band and the Drogheda Brass Band. The Lourdes band, who hosted last years Band Festival as it was their 50th celebrations, were conducted by Harry Kelly. The Lourdes Band members always enjoy their trips to Ardee, as they are frequent performers in the Ardee St Patrick’s Day Parade. The Drogheda Brass Band performed 4th and they were conducted by guest conductor James McCafferty as their usual conductor was on holidays. This shows the lengths that the bands will go to support one another and the great comradely between them. Drogheda Brass Band played a varied programme with several soloists taking the stand. The final band to perform was the hosts, Ardee Concert Band conducted by Harry Kelly. The band’s programme was light and entertaining including some of the pieces they performed on their recent trip to Prague. One of the most popular pieces of the afternoon was “The Galway Girl” arranged by band member Paul O’Brien. There was plenty of hand clapping and audience participation throughout the whole afternoon and despite the slight shower early in the proceedings, the weather was lovely and the audience, which was very large, stayed for the whole three-hour show. A band festival wouldn’t be a band festival without the culmination of all the bands in a massed band parade. It was a wonderful sight to see all the bands, over 100 musicians, playing together through the main street led by the two members of the Garda Mounted Unit followed by Ardee band member Peter McKeever who was acting Staff Major for the day and a colour party of flags. The sound of the massed band reverberated up the town, which drew many people out to hear them. The bands did a counter march outside the castle and returned to the Fairgreen to disband. Ardee Concert Band provided refreshments for those taking part in the Band Festival and their supporters. The tea ladies were members of the committee and some parents who were on their feet all afternoon and did a wonderful job. Ardee band members donated most of the food, which was scrumptious. The visiting bands were presented with glass plaques as a memento of their day and the 150th celebration, by chairman Austin Nevin. The proceedings were announced by Master of Ceremonies for the day Paddy Ward able assisted by John Nevin on sound. All in all it was a fantastic success, which complemented the Turfman Festival, and the Bandstand was well and truly christened. Ardee Concert Band is taking a short break but not for long as they are performing at a Garden Party in Barmeath Castle on the 21st of August and in Farmleigh House in the Phoenix Park on the 29th , both very prestigious engagements. “Ardee Concert Band would like to thank all those who helped in any way at their Band Festival” says PRO Fiona Reilly, “especially the visiting bands and the audience”. A special mention to those who help at the band’s weekly bingo, as they had to be at the Bohemian for the special “Festival Bingo” on Sunday evening, now there’s dedication!